There comes a time for every start-up when it needs to make the choice of its technology right before building the product. For its many start-up friendly qualities, Ruby on Rails is chosen over and over by the start-ups world-wide. 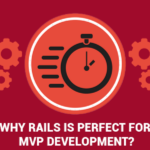 This is the reason why, the Ruby on Rails developers have been in high demand right from the time the technology has gained popularity. As 2019 arrives, the question we are faced with is whether this trend will stay or fade away. 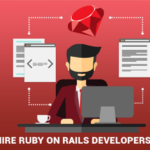 We are writing this post to analyse how relevant it will be to hire a ruby on rails developer in 2019 and beyond. Ruby on Rails is based on Ruby which is a constantly evolving language. With its updates coming at least twice in a year, it is ensured that the language keeps on evolving to keep pace with the modern-day needs. The release of Ruby 3 is expected in 2020 which is hoped to make it remarkably faster. The faster development implies more savings on the development cost with quicker time-to-market which are important benefits from the point of view of a start-up with a limited budget. It is because of its simple and intuitive syntax that leads to high productivity of the language which makes it perfect for the start-ups. Also, while the start-ups benefit from its quick time-to-market, the large enterprises use it for prototyping their product for delivery of proof-of-concept solutions. Featured to be one of the top programming languages of GitHub even in 2018, it is highly unlikely that Ruby is going to become obsolete anytime soon. With the largest enterprises of the world such as AirBnB still continuing to use it, the language has the promise of a sustainable future for years to come. With much more speed going to be infused into the language by 2020, it shows the promise of being maintained over time. The Ruby on Rails Framework has a large number of active supporters and contributors on GitHub. Over 3,500, these contributors are active and enthusiastic about keeping the framework productive and speedy with the contribution of regular updates and creation of new gems. This does not only help in making the development easier and faster, but it also enables regular sharing of experiences and efficient troubleshooting of the issues to provide learning and handholding for the emerging developers. 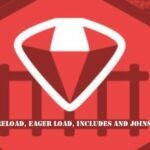 With an elaborate documentation, the framework of Ruby on Rails is maturing just the way Ruby is maturing. Whether using it for building the internal tools or for prototyping a product, Ruby is a very versatile language that fits the bill for all your start-up needs. With its expedient features, Ruby is efficient with delivering and extending software products as soon as it could be potentially possible. Also, Ruby makes development easier and cheaper whether it is about building or extending the applications or creating the internal/backend tools, where the top priority of a start-up is efficiency and cost-effectiveness. Finally, when we talk about the merits of Ruby, how can we fail to mention that it was a programming language that was conceptualised considering the convenience and happiness of the developer using it. With expansive libraries and resources for learning, an active and efficient community, well-laid-out practices and simple and intuitive syntax, Ruby is naturally a programming languagethat creates sheer delight for the developer using it. And it goes without saying that a happy developer is more likely to generate more value for the clients. In the end, we would say that in a host of languages attempting to rise to the same pedestal as Ruby by adopting the best qualities of the language, Ruby does have a first moving advantage in terms of the maturity it has gained and the large community it has nurtured. In conclusion we can say that Ruby maintains its position as the language of choice to meet your start-up needs in 2019 too. 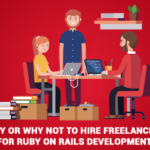 This is the reason why it is still as relevant to hire a Ruby on Rails Developer for your start-up development needs in 2019 and beyond. 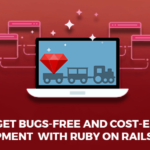 Extensively experienced in developing Rails Applications for diverse industries, RailsCarma is a prominent provider of Ruby on Rails development services. You can hire a Ruby on Rails Developer or on-board a team of our Rails Developers to work as an extension to your team and expedite your development or troubleshoot any issues you are facing with your prototype building or the end-to-end development of your application. Let us know of your exact needs and have our experts suggest you the best approach to follow.